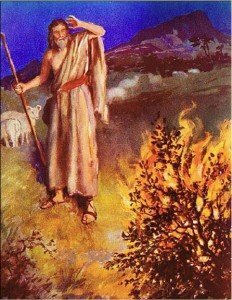 I wanted to look closer at the events surrounding the burning bush to learn more about Moses and what qualified him to become such a good leader. 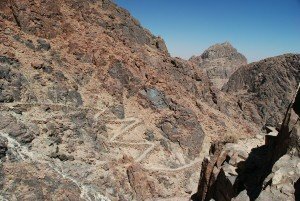 To recap, Moses is in the Midian desert by Horeb, which means barren or dry, and is the name for the general area of Sinai, where Mount Sinai is. He sees the bush on fire and goes over to investigate because it is burning, but does not burn up — a consuming fire, that didn’t consume. God calls his name twice — which we’ve already discussed, saying that God had a big job for Moses. Then God drops the bombshell, “I am sending you to bring my people out of Egypt”. It suddenly dawns on Moses that this huge task is going to be laid on him and you could certainly understand why he wouldn’t feel qualified. “Who am I that I should go to Pharaoh?” Why me? Moses had good qualifications. But God didn’t talk about qualifications; he simply said “I’ll be with you.” Great leaders always have the qualifications, but that doesn’t make them a great leader. Leading like God does is what much makes them great. Moses becomes one of the greatest leaders in history because he always had the interests of God’s people at heart. Moses wasn’t the perfect leader, as we are seeing in Numbers. But, Deuteronomy 18:17-20 says that there would be another leader coming who would take it to the perfect level. Jesus would take Moses’ pattern of servant hood to an even greater level. Moses in his great, but imperfect way, will show us why there needs to be a second Moses. Moses, as the great leader of the Exodus, set a pattern of leadership that Jesus would follow later. Even as a little boy, Jesus was taught to be like Moses. Be a servant, be a good shepherd. Moses was the first shepherd of God’s people and Jesus called himself the good Shepherd. Later, after the golden calf incident, God is ready to destroy his people and start over. Moses pleads with God to take his life instead. Exodus 32:32 – “But now, please forgive their sin-but if not, then blot me out of the book you have written.” Isn’t this exactly what the second Moses would do later? Moses pled for their lives and Jesus bled for their lives. His pattern came from the example and words of Moses. When God put Moses in the cleft of the rock and let him see his glory, the first thing that came out was God’s mercy and compassion. Another Moses showed the same qualities. Oh, he had the power, but Jesus wanted to be known as someone who healed lepers and made the blind to see and the lame to walk. In summary, great leaders have servant’s hearts and have love and compassion above all. Power and politics don’t change the world, but love and compassion do. Feed the hungry, visit the prisoners, heal the sick, clothe the naked, and that will change the world. Moses set the first and best example of what a leader should be. God spoke with Moses, face to face and told him, he was pleased with him. In Matthew 9:36, the writer, speaking of Jesus, says,” When he saw the crowds he had compassion on them, because they were harassed and helpless, like sheep without a shepherd.” Moses was the first shepherd; Jesus was the good and ultimate Shepherd and our model for a great leader. Amen and Amen. On about day three of our trip, our Rabbi picked up a white stone and a black stone, without explanation and put them in his pocket. Word spread back through the talmidim and everyone quickly picked up two stones and put them in their pocket, also. No explanation or information was given until our devotion on the morning of the 6th day. 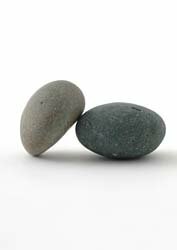 The old rabbi, said RVL, always carried a small white stone and a small black stone with him in his pocket to remind him of some very important God principles. We live between these two stones. The white stone represents God and the unbelievable fact that He made us in his image and blessed us by making us a little lower than the angels and giving us dominion over all the work of his hands (See Genesis 1:26 – 28 and Psalm 8:1 – 9). The God of the universe made us and is with us! The white stone symbolizes that it is all God, certainly nothing that we did or could lay claim to. We are inadequate and of little value by ourselves and add very little, if any to the mix. The black stone represents humanity and the idea that since he made us to rule over creation, he has given us work to do. We are responsible to keep his commandments and to serve him only. However, because we’ve been given such rich gifts and such responsibility, we sometimes have a tendency to have pride and to think that we are something in and of ourselves. If we are not careful, we will be deceived into thinking it is by our strength and our power that we have done things (Deut 8). Somehow, God wants us to live between the two stones. On the one hand, it’s all God, he did it all, nothing that we can add to what he’s done and we’re nothing without him. On the other hand, he has asked us to be in the world and make decisions and be over and have dominion over the affairs of this world. We have to live between the two stones, realizing that it’s all God, but knowing that he expects us to do our part. There’s tension between the two stones constantly, but that’s where we live. I am keeping the two stones in my pocket to remind me I am nothing without God, but he expects me to enter the chaos of this life and be his witness and do his work and will. The white stone keeps me humble and makes me realize that I am nothing special, just chosen by God. The black stone keeps me working hard to make sure I do my part and not to be proud of what I’ve done. On the one hand, it’s all God, dependent daily on his grace and strength, but on the other, God wants my participation. He wants me to do everything I can and he expects me to give it all I have. To further expand on my first story on “walking the path”, I found more notes on a lesson we had while climbing Mt. Katarina in Egypt. We discussed the word, life, or to live, being the Hebrew word halak (Strong’s 1980), which is to walk. If life is a walk, then there must be a path to walk on, and obviously more than one path. So there are some choices of path to be made. Just in the book of Deuteronomy, I found five references to walking the correct path, or the Lord’s path (5:32 and 33, 6:7, 8:6, 10:12 and 13, 11:19, 11:22, and 26:17). Deuteronomy 5:32-33 says it the best. “Do not turn to the right or left” — walk in the way that God has commanded you. Also Jeremiah 6:16 says “Stand at the crossroads and look; ask for the ancient paths, ask where the good way is, and walk in it” — so it is definitely saying, it’s a choice to walk on God’s path. Psalm 23 says, “He guides me in paths of righteousness”, Psalm 25:4 says, “teach me your paths”, Psalm 27:11, “lead me in a straight path”, 119:105 – “Your word is a lamp to my feet and a light for my path.”, Proverbs 3:6 – “…he will make your paths straight”, and 4:26 “Make level paths for your feet”. Isaiah 2: 3, “…so that we may walk in his paths.” The idea of the path being life in the Bible is everywhere. He wants us on His path, the path of life. We had a guide on our trip up the mountain so that we wouldn’t get lost. In the same way, the word is our guide, (Psalm 119:105), so that we don’t lose our way. Scripture is also full of examples that God is our guide in life and in fact walks with us on the path. In Genesis, God walked in the garden with Adam and Eve. Genesis 5:24 says Enoch walked with God and Hebrews 11:5 said Enoch pleased God. In Genesis 17:1 God told Abraham to “walk before me and be blameless”. A great example of how the phrase “to walk” or walking is used in the Bible is found in the New Testament in the Gospels. When John the Baptist saw Jesus coming, he said, “Behold, look, the Lamb of God”. The Greek word for (coming) there is actually,” walking”. If you use that like a Jew would have, when he saw how Jesus was walking, or how he was living, then he knew he must be the Messiah. How Jesus was walking (living) convinced John that he was the Messiah. When you walk, does anyone see Jesus in your walk? Does your walk have a familiar Jesus look to it? We are to imitate the walk that Jesus walked. 1 John 2:6 says we must walk as Jesus did. It’s not just enough to know the path; even the devil knows the path. But do we know how to walk it and are we traveling it with passion? The picture of life as a path is also good in that it gives the idea that it’s not always easy walking. Life is not a paved sidewalk. It has some steep inclines and there are plenty of rocks in the way. There are little stones, things that are annoying and cause you some problems, but don’t stop you. Then there are bigger stones, you lose your job, you kids have problems, etc. Then there are the huge stones that bring you to your knees and you’re not sure if there’s even a way over them. The huge problems of life such as death, disease, children leaving the faith, are problems that there is no way over or around. What does God do about the huge boulders in our path? Psalm 81, says if you are on my path, I will satisfy you with honey from the rock. The same rock that brought you to your knees has enough of God in it to give you a taste to take one more step. We know God most intimately during these huge rock moments. When you hit the rock there will be a taste of God to get you through. Only make sure you are on his path, because the promise of honey is only good if you are on the correct path. One other thought is to be careful when you ask for honey; God may put it in a rock. The last metaphor on the path of life is to leave it in better shape than you found it. These paths are thousands of years old and have been walked by many saints before. Their job and ours is to make the path a little cleaner, a little easier to find for the next person to follow us down the path. Paths are kept clean by walking them, if not they get overgrown. The desert and its paths are a great picture of life — they are tough and sometimes the conditions are harsh, but they have a beauty all their own. Life is certainly much more like the desert than it is Hawaii, which we have a tendency to make believers think that’s where they’re going after they become a Christian. One of the neat metaphors we begin to see as we walked the wadiis (arroyos or canyons) of the Egyptian desert was the concept of walking the path of life. First of all, we learned that to a Hebrew, life is a walk. The word that is often translated in the Bible as live, in Hebrew, (halak) is really “walk”. 1st Peter 2:12 says, “Live such good lives among the pagans that they will see your good deeds”. The word, “live” in that verse is the Hebrew word for walk. Hebrews don’t say live, like we do, it’s experiential, they say, walk like we walk – live it out. 2 Corinthians 5:7 – we live by faith, not by sight, is also actually the verb in Hebrew “to walk“. So life to them is a path that you must walk. It’s experiential, much more so than the word live, indicates. If life is a walk, there must be a path or more than on and there must be some choices in what path to follow. To summarize, life is a path that must be consciously followed and there are many choices to make in order to walk it out properly. One metaphor that mirrors life’s walk, that we noticed while hiking, was that often you can’t see very far ahead of you. The trail goes around the bend and the path is not in sight. You have to trust whoever is leading you that you are on the right path, thus “We walk by faith, not by sight.” And God promises, “if you are following me, I’ll be around the next bend, even though you can’t see me from where you are now”. He may be around the bend in the form of a broom or acacia tree, a place for you to get some shade from the heat, or he may be a spring of water for a drink. The Old Testament actually does not talk about heaven that much. We are supposed to walk (live) hard for God now, feed the hungry, clothe the naked, heal the sick – walk hard now then at the end will be heaven. You can expand on this metaphor a lot more. Look at these verses. And now, O Israel, what does the LORD your God ask of you but to fear the LORD your God, to walk in all his ways, to love him, to serve the LORD your God with all your heart and with all your soul, 13 and to observe the LORD’s commands and decrees that I am giving you today for your own good?